THE Indian TOMB: THE MISSION OF THE YOGI is a perfect example of the grand German cinema epics created during the silent era. 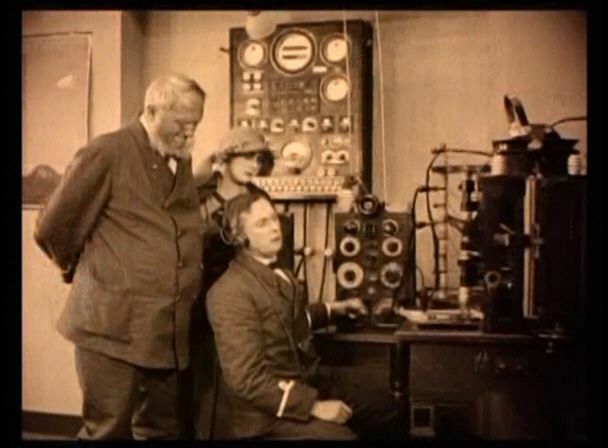 Berlin film mogul Joe May turned the full resources of his modern Maytown studio over to the production, using 300 workmen to create the lavish sets necessary to tell such an exotic tale. May contracted with authoress Thea von Harbou to write the script for THE Indian TOMB, based on her 1917 novella. May assigned young Fritz Lang as her co-writer. Lang, who married von Harbou after starting the writing project, desired to direct the films, but he was deemed too inexperienced for such an important project by the financiers and May enthusiastically became the director himself. Furious, Lang left May’s employ; it would be more than 35 years before he was able to direct his own Indian TOMB films. THE Indian TOMB: THE MISSION OF THE YOGI was an artistic triumph, presenting wonderful vistas & sequences to delight the viewer’s imagination. Right from the eerie prolog, when an Indian holy man is literally disinterred from his living grave, the film grips the audience with a promise of high adventure & mysticism. Further scenes, including those set in the Tiger Arena adjoining the Maharajah’s Palace, or the Cave of the Penitents situated below it, add intricate strokes to the broad canvas which is THE Indian TOMB. Conrad Veidt is mesmerizing as the troubled Rajah. With large, hypnotic eyes set in a bony face, he seems forever contemplating terrible memories. 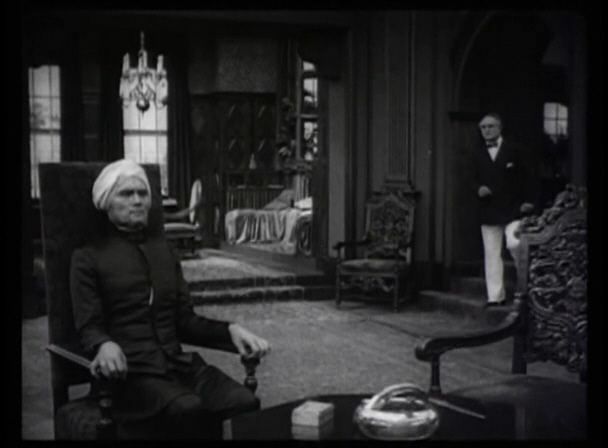 Veidt gives a measured, stylized performance, moving very slowly and deliberately, almost somnambulistic in his actions. The one short scene where he lets his longing & heartbreak push through to the surface is startling just from the sheer pent-up passion released for a few seconds – as if a mighty dam is breached and almost immediately sealed again. Equally intriguing is Bernhard Goetzke as the mysterious, implacable Yogi. Imparting menace in every movement, he is a worthy henchman to the Rajah. Olaf Fønss as the architect & Mia May (the director’s wife) as his courageous fiancée, present a refreshingly middle-aged view of romantic love.